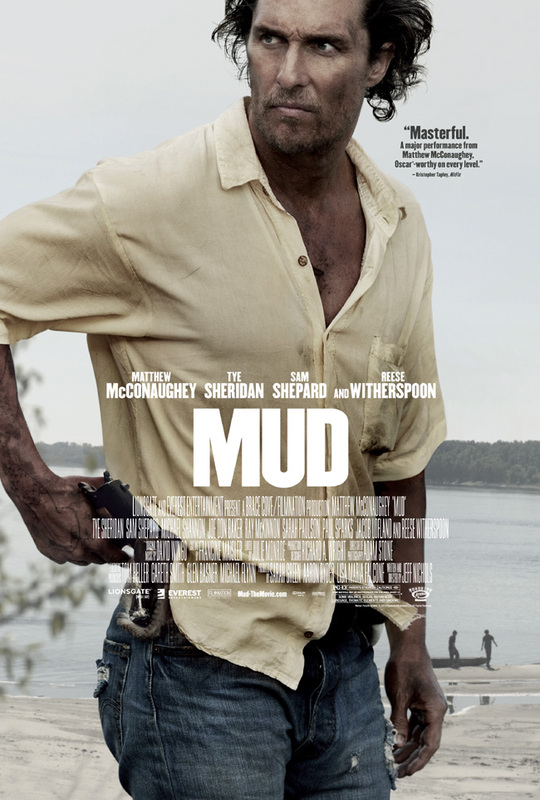 “Mud,” which is rated “PG-13” and opens on April 26, 2013, also stars Reese Witherspoon, Sam Shepard, Michael Shannon, Sarah Paulson, Jacob Lofland, Tye Sheridan, Ray McKinnon, Paul Sparks, Joe Don Baker, Johnny Cheek and Bonnie Sturdivant from writer and director Jeff Nichols. To win your free “Mud” passes courtesy of HollywoodChicago.com, just get interactive with our unique Hookup technology below. That’s it! This screening is on Monday, April 22, 2013 at 7 p.m. in downtown Chicago. The more social actions you complete, the more points you score and the higher yours odds of winning! The movie poster for “Mud” starring Matthew McConaughey and Reese Witherspoon. The trailer for “Mud” can be watched now below. This HollywoodChicago.com Hookup is simple! Just get interactive in our unique Hookup technology above. We will award 50 admit-two movie tickets based on social entry numbers and/or randomly via e-mail for our “Mud” Hookup. Good luck!